In our years of launching and re-launching websites, we have developed some tried and true ways to enhance and increase the performance of the sites we work on. But first, let us define what we mean by performance. So, how do you go about increasing the performance of your website? A landing page is a page designed to receive the traffic generated by a specific marketing campaign. The job of a landing page is to convert that traffic into actions, such as a phone call, sign up, download or a purchase. Usually, the most effective landing page is not your homepage, but a far more targeted page focusing on a single message. Let me give you an example of how this works. Say that you are a store like Fontana Pharmacy, a store with hundreds of product lines and thousands of products. 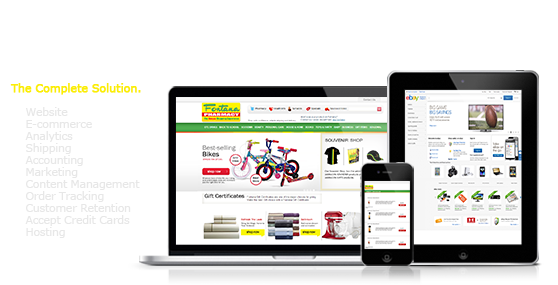 When Fontana advertises or markets a specific product online, it will direct the traffic to the specific page of the product being promoted. So, if Fontana is promoting a sale on Cosmetic Products, it is far more effective to drive traffic to a landing page featuring Cosmetic Products than it would be to send them to Fontana Pharmacy homepage. Think of it as eliminating the middleman. Every step you can eliminate in the purchasing process increases the likelihood of nailing down the sale. Similarly, for a service provider, if you can direct someone interested in a very specific service to a landing page featuring that specific service, then you are far more likely to convert that individual into a client than if you sent them to a page featuring multiple services. The web has done an amazing job of empowering consumers. Online, brands no longer have the luxury of delivering a one-way marketing message. To message effectively on the web it is critical that you provide information that serves the needs of your target audience. For example, if you are selling a camera, provide value added content educating the visitor on the features, ease of use and specifications. If you can, it is even more effective to add a brief video tour of the product as video is more effective in creating a conversion than just a picture and a price. Similarly, if you provide a service, focus on providing your visitors with practical information that both demonstrates your expertise and serves your client’s needs. When clients receive more useful information on a product or service, they are more likely to buy. This is the kind of information that enhances your brand, builds trust and makes people want to do business with you. One of the biggest mistakes businesses make online is to forget to give visitors the tools to take the next step, whether it’s making a purchase or requesting more information. If you are using your website to drive business, then give your visitors the “keys” to drive the car. If you want them to buy, give them a large “buy now” button. If you want them to request a quote, then put the button right in their line of vision and make it large enough so it can’t be missed or ignored. Even if you just want them to take a baby step, give your visitors the opportunity to “inquire about this service/product” or “learn more, share, forward to a friend, request contact, download now,” etc. Whatever action you desire from your visitor, make sure that is simple and intuitive for them to take that action! An effective landing page will not only help you get immediate conversions, but is a great tool for SEO (search engine optimization). As discussed above, a well-targeted landing page should provide explanations and detailed information on specific products or services. This kind of information is filled with the keywords that search engines, such as Google, love. As users search for the kinds of products or services you provide they will be much more likely to find you if you are at or near the top of the search results. Visitors to any website have a remarkably short attention span. To capture them and turn visitors into customers or clients, you need to deliver your company’s central messages clearly, quickly and convincingly. This can be accomplished by keeping your message simple and not overwhelming your visitors with massive blocks of text. As a major user of the internet, I can tell you my eyes glaze over when I see large paragraphs of text on a homepage or on any other landing page. I always advocate using sparse copy and large fonts to get a visitor’s attention. The main job of a homepage is to deliver your central message and then create pathways to the internal landing pages that best serve the needs and interest of the visitors. A great example of this is the maxiestores.com homepage. They Use large fonts, keep the copy to a minimum and provide clear paths to the appropriate internal pages. While the subject of online messaging is brings up too many areas to handle in a single article, let me focus on one tool that can be particularly effective in delivering your core company message: video. A video gives you the opportunity to speak directly with current and potential customers. It not only puts a human face on your company, but it can be a great way of demonstrating your expertise and your value proposition. Many businesses are reluctant to create videos because they feel as if they need to have Hollywood quality production values and feel that such production values require an enormous investment. This couldn’t be further from the truth. Creating a quality video today is dirt cheap. You can buy a decent video camera for about $100. You can post the video to YouTube and then use that video right on your home page. Deliver your company’s message honestly and passionately and you will find the video to be a very powerful sales and marketing tool. There are millions of people surfing the Internet. It takes work, marketing and creativity just to get them to come to your website for the first time. Once you are fortunate enough to be on a visitor’s radar, then it is critical to keep them coming back to your site again and again. Why? Because studies show that visitors to your site are rarely converted on the first visit. A regularly updated blog or another content driven portion of your site. Don’t be scared to incorporate videos. It seems like most companies have finally understood the fact that you need to be involved in social media. Unfortunately, very few companies have a clue as how to use social media effectively on a company website. Just putting a bunch of icons like Facebook, Twitter or LinkedIn on the top of your website is good, but is mostly ineffective as the vast majority of users don’t click on them. So how do you use social media as a business-generating tool? The key is to integrate these platforms with compelling content on your site. If you provide interesting articles relating to your business, articles that visitors would really be interested in sharing, then give your visitors the opportunity to share that content through a variety of social media platforms. If you provide great content, your visitors will email it to a friend, Tweet about it and even “like” that content and share it on Facebook. By having your visitors do your marketing for you, you have created a path to a much larger audience. This final point is- by far- the most important point I will make in this article. When potential clients come to our office, I always ask them about how their website is doing. What kind of traffic are you getting? Where is it coming from? What is your bounce rate (the percentage of visitors that see your homepage and leave before going anywhere else on your site)? How much time are they spending on your site? What is the last page they visit before leaving your site? Amazingly, the vast majority have no clue as to how to answer these questions. These same people, if they have a brick and mortar store, can tell you exactly how many people come to their store, how many purchase and how many just walk out without buying anything. Owners of brick and mortar stores watch customer behavior carefully and then adjust accordingly. When you fail to monitor the behavior of the visitors to your website, you miss a huge opportunity to make the same kinds of adjustments that will enhance your business. If 70% of the people coming to your homepage leave without looking at any other page on your site, then you had better make some serious improvements to your homepage. If people are trying to buy products on your site but abandon their purchases during the checkout period, then you had better fix the checkout process. The good news is that this kind of information is not only readily available; it is free with services like Google Analytics. 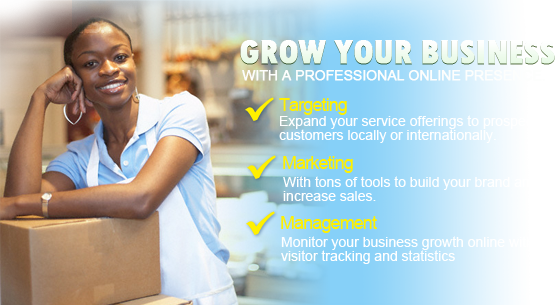 It is quickly installed and will immediately provide the kind of data and insights that will help you grow your business. Your website can be and should be your single greatest marketing and sales tool. By following some basic principles, you can greatly increase the performance of your website. At 1800myweb.com, we implement these principles on our clients’ websites and marketing campaigns and enjoy sharing in their successes. If you are looking to improve the performance of your business’s website, we would be happy to hear from. Please give us a call at 1-800-819-5188 to get the ball rolling.